This is an Australian company. 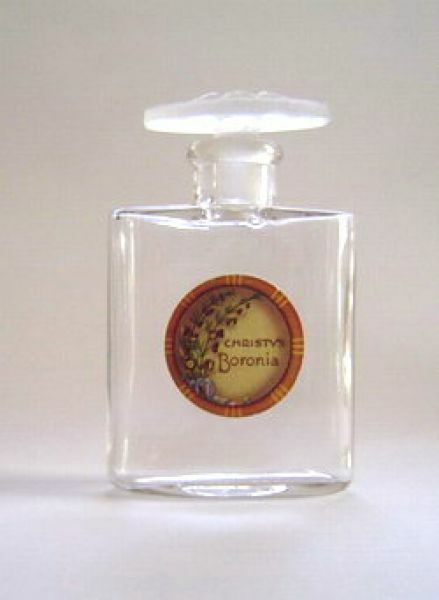 The bottle is quite small, only 6.5cm high and in clear glass. The stopper is in frosted glass with a moulded flower petal design. Boronia is an Australian native plant which grows best in the sandy free draining soils of Western Australia. It is a beautifully scented plant. For those who have don't know the scent I would say it is similar to a freesia but somehow sweeter and lighter. The label shows an excellent representation of the flower.